Explanation: Each day on planet Earth can have a dramatic ending as the Sun sets below the colorful western horizon. Often inspiring, or offering a moment for contemplation, a sunset is perhaps the single most photographed celestial event. Did you recognize this as a picture of one? 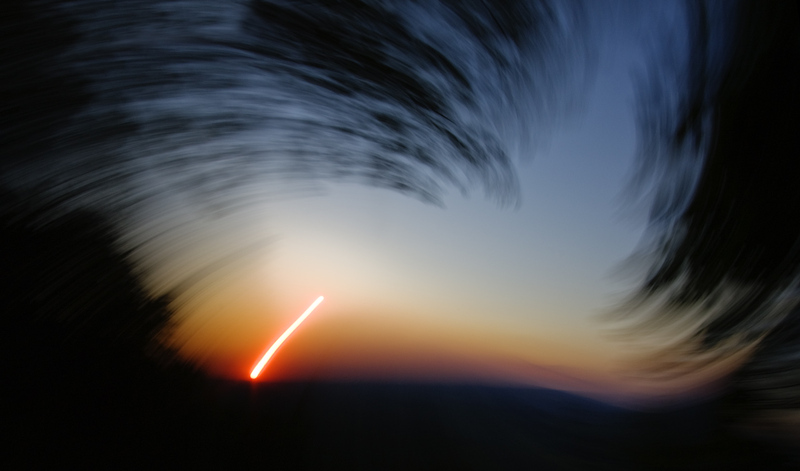 The image actually is a single exposure of the setting Sun recorded near Wasserberg, Germany on May 11. To create the uncommon sunset view the photographer used a digital camera and a zoom lens (a lens with an adjustable focal length). During the 1/6 second long exposure he smoothly changed the focal length while simultaneously rotating the camera, altering the image scale and orientation. The result transforms an objective depiction of nature into an artistic abstraction.